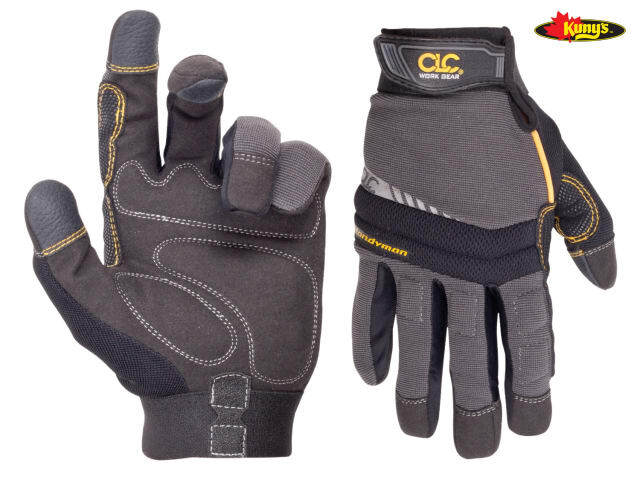 The CLC Handyman Flex Grip® Gloves have a Syntrex™ synthetic palm material for increased abrasion and tear resistance with the padded palm, fingers and knuckles providing protection against bumps. The textured fingertip pads provide added abrasion resistance and the stretch-Fit™ thumb and spandex back offer a better fit and greater flexibility. Also with a wide elastic cuff with medical grade hook & loop closure and textured pull-on tab. 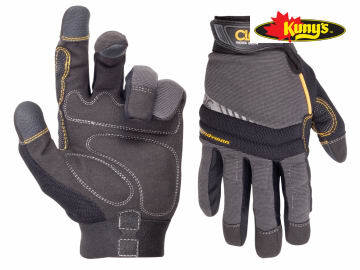 The KUN125M Handyman Flex Grip® gloves are size medium.